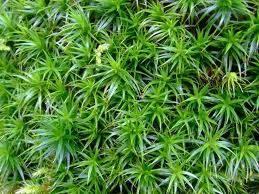 The unsightly and frustrating weed that reeks havoc in many of our British lawns, moss, for it's simple structure is a force to be reckoned with. Has there been any water logging in either Summer or Winter? Is the soil an Acidic soil? Is the lawn shaded with trees etc? Have you been cutting your lawn too short? This makes the grass weak. Has the area suffered with a drought, not to be confused with area's where the summer sun has caught the grass. Is the soil sandy which will weaken grass. Does the grass get compressed by use, such as walking or playing or even animals? Do you neglect your lawn?